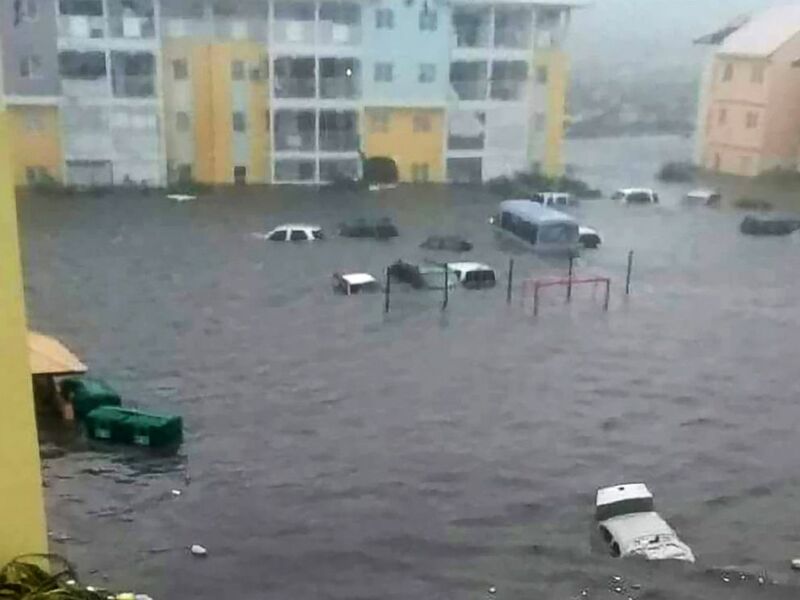 Cars under water on the flooded island of Saint-Martins in the aftermath if Hurricane Irma. Net picture. AGENCIES. Hurricane Irma hammered a string of northeast Caribbean islands thrashing them with rain and winds of up to 180 mph and leaving at least nine people dead. The hurricane battered Barbuda St. Martin and the British Virgin Islands, causing widespread devastation. Barbuda is barely inhabitable with nearly all its buildings damaged, the Prime Minister of Antigua and Barbuda, Gaston Browne said. 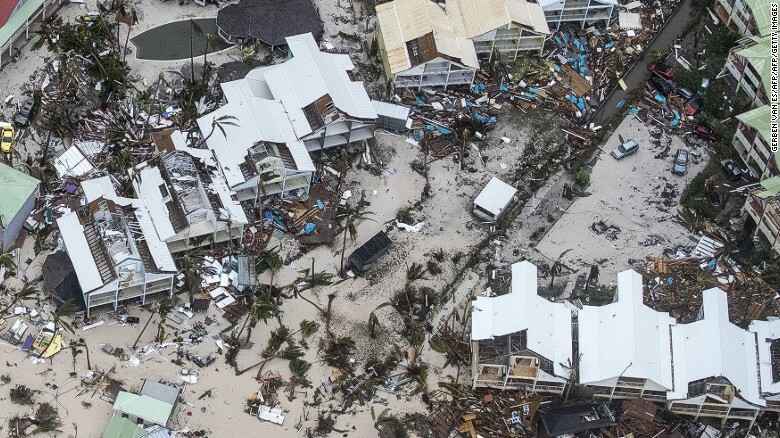 Officials warn that St Martin is almost destroyed, and the death toll is likely to rise. The eye of one of the strongest storms recorded in the Atlantic is making its way toward a possibly devastating hit on Florida, USA over the weekend. On Thursday morning, Irma was moving off the northern coast of the Dominican Republic. The centre of the storm will pass north of the coast of Hispaniola later Thursday, and near the Turks and Caicos Islands and the southeastern Bahamas by evening, the National Hurricane Center said. The tropical storm-force wind field from Irma stretches over 300 miles from end to end. Dutch defence ministry aerial photograph of damage on Saint Martins. Duthc defence ministry aerial photograph of some of the damage wrounght on Saint Martins. A hurricane warning is in effect for the central and southeastern Bahamas. In Puerto Rico, about 56,680 customers are without water, with the US territory’s northeast hit the hardest, according to Jesus Poupart of the emergency operations center. He told the BBC that 50% of the Barbuda population were now homeless. Officials have confirmed deaths in Saint-Martin and Saint Barthélemy, popularly known as St Barts. 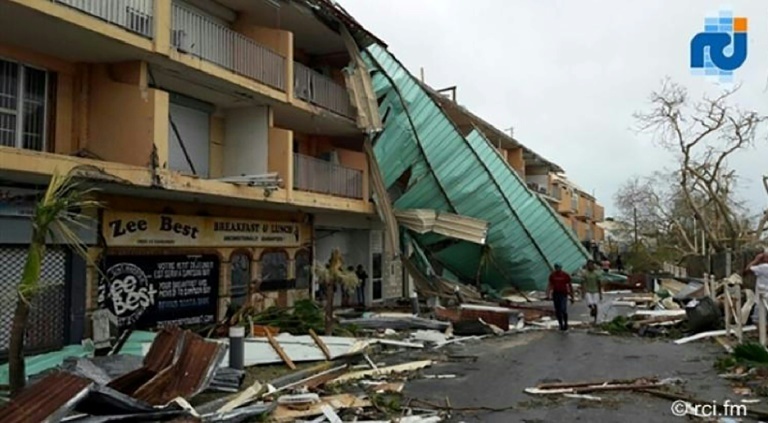 Damaged buildings left in the wake of the Hurricane Irma in Carribean. BBC photo. 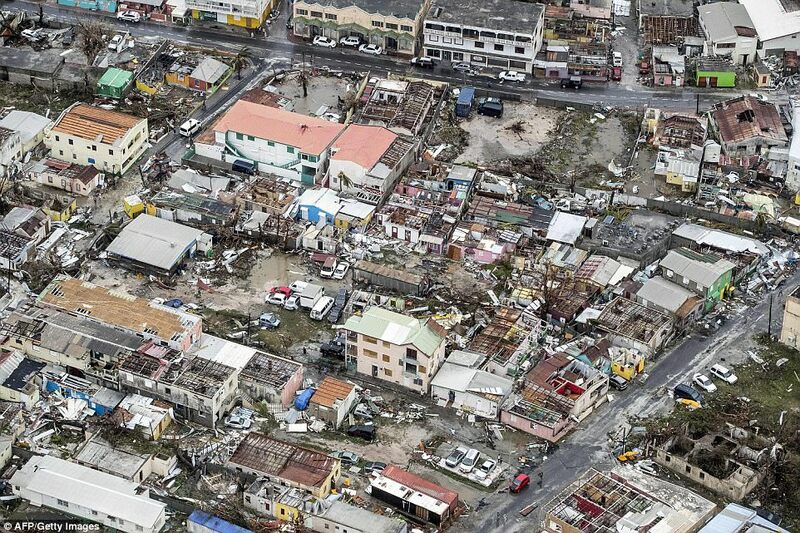 “It’s an enormous catastrophe – 95% of the island is destroyed,” top local official Daniel Gibbs said of Saint-Martin. Saint-Maarten’s airport, the third largest in the Caribbean, has been seriously damaged. The Dutch navy has sent two ships from nearby Aruba and Curacao to assist locals but they have had trouble docking, according to media in the Netherlands. In Puerto Rico, more than half of the island’s three million residents were without power. UK Prime Minister Theresa May has arranged an emergency government meeting. She has spoken to French President Emmanuel Macron, pledging to work with him and the Dutch government to co-ordinate relief. High waves and rain lashing and riding over the sea wall in Saint Martins. Net picture. Hurricane report: Antigua reportedly escaped major damage, with no loss of life, but some 95% of structures on Barbuda were damaged or destroyed, the prime minister says. Another storm, Jose, further out in the Atlantic behind Irma, swelled to category one hurricane strength and could be near major hurricane strength on Friday, according to the US National Hurricane Center. Forecasters say Jose is expected to pass close to the Leeward islands, a collective name for islands from Dominica to Puerto Rico. Its exact path is as yet unclear but winds are not expected to be as strong. However, it may hit areas already devastated by Irma. 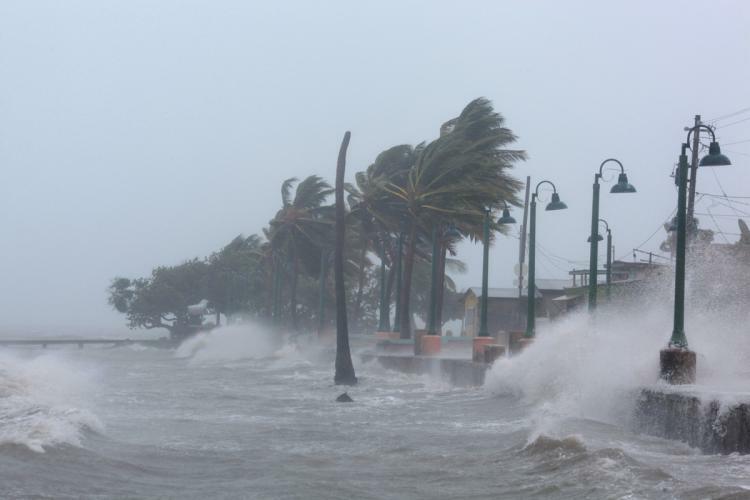 Storm Katia, in the Gulf of Mexico, was also upgraded to hurricane status, and a warning was in effect for the coast of the Mexican state of Veracruz. Seeing multiple storms developing in the same area of the Atlantic in close succession is not uncommon at this time of year. Rarer though is the strength of the hurricanes. Hurricane Harvey made landfall in the US as a category four less than two weeks ago. Irma is expected to be at category four when it arrives in the US in comings days. There have never been two category four storms making landfall on the US mainland within the same season, since records began.